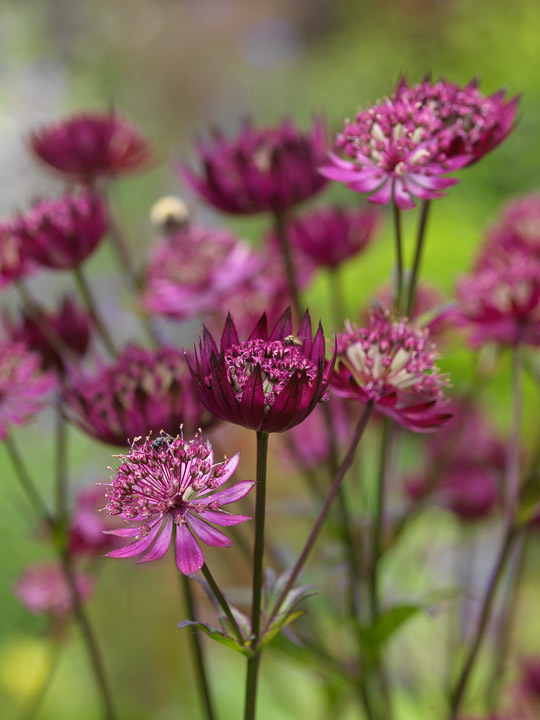 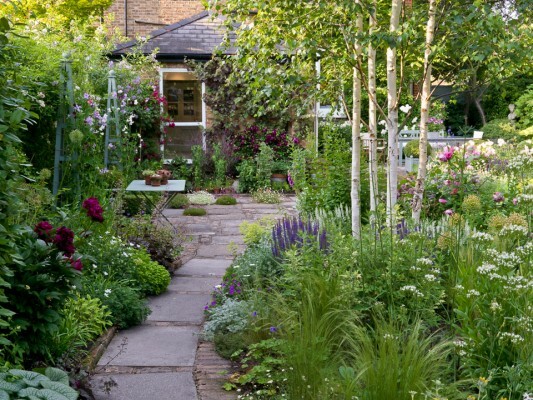 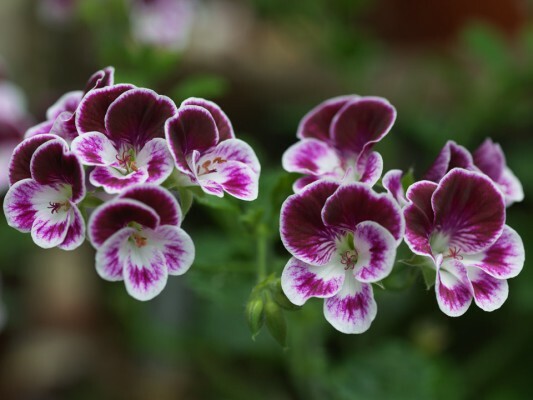 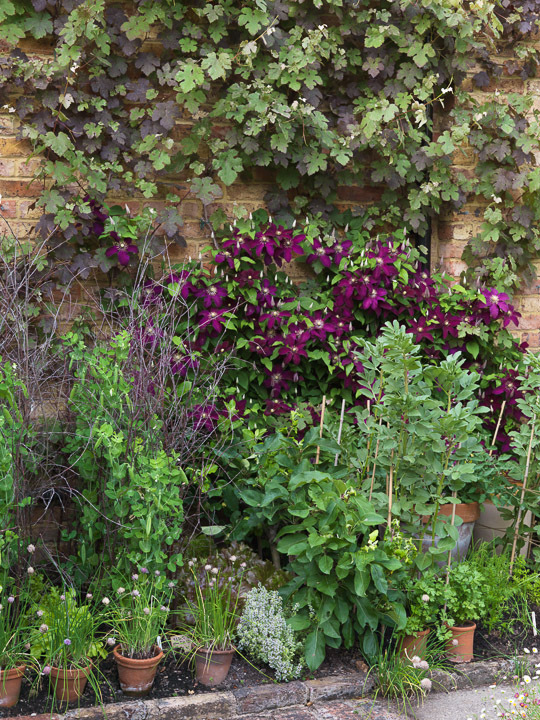 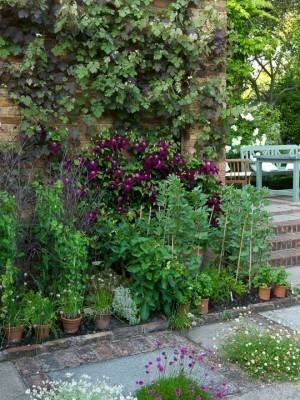 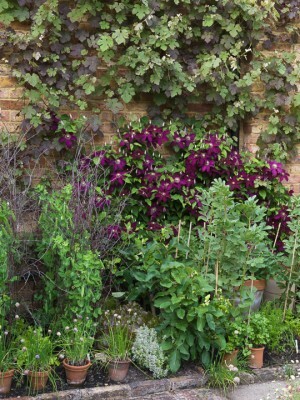 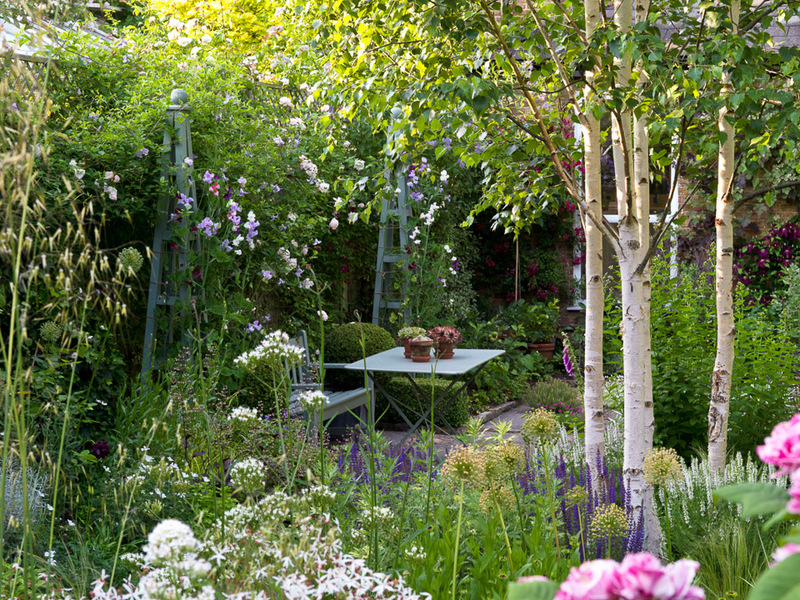 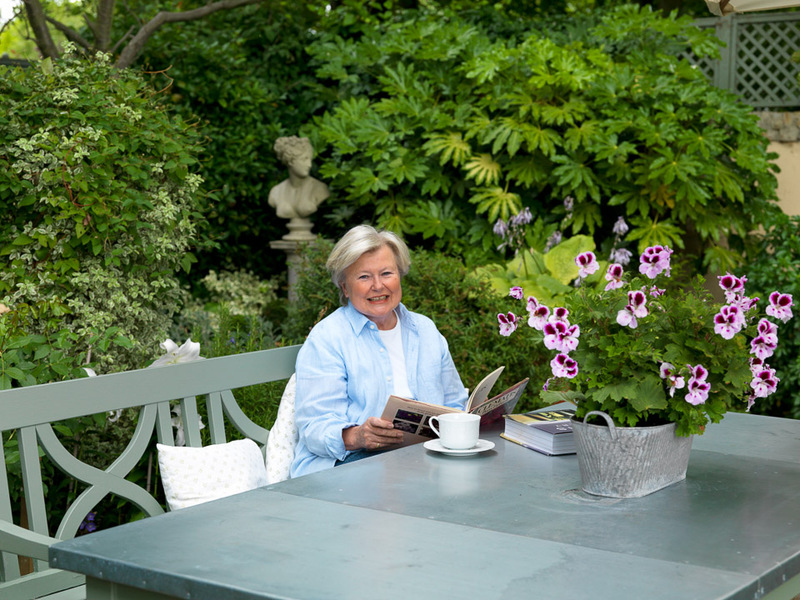 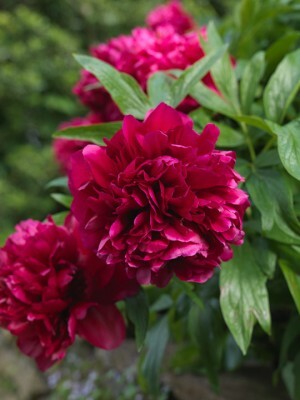 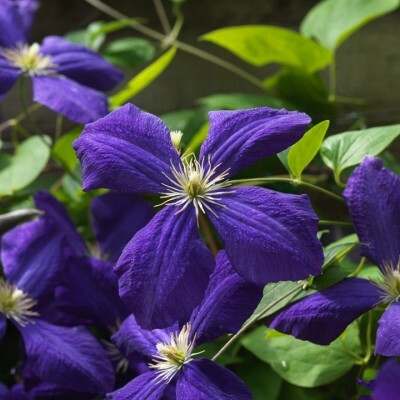 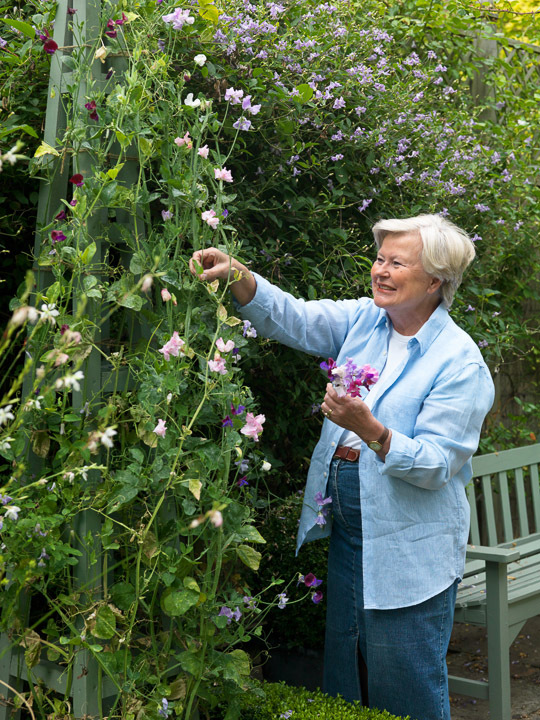 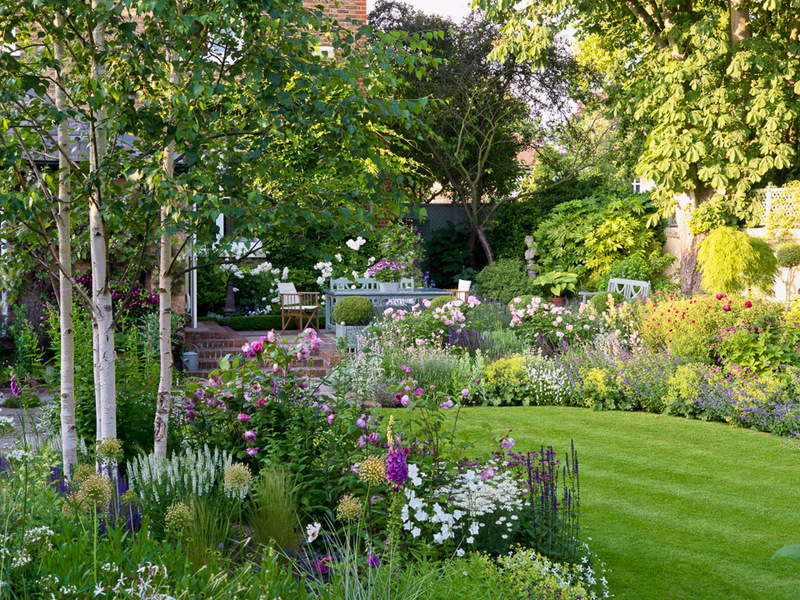 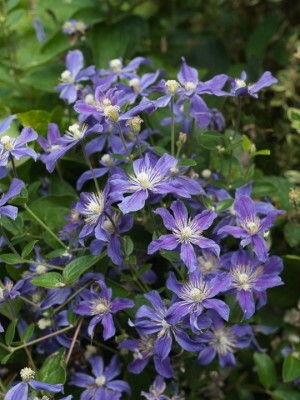 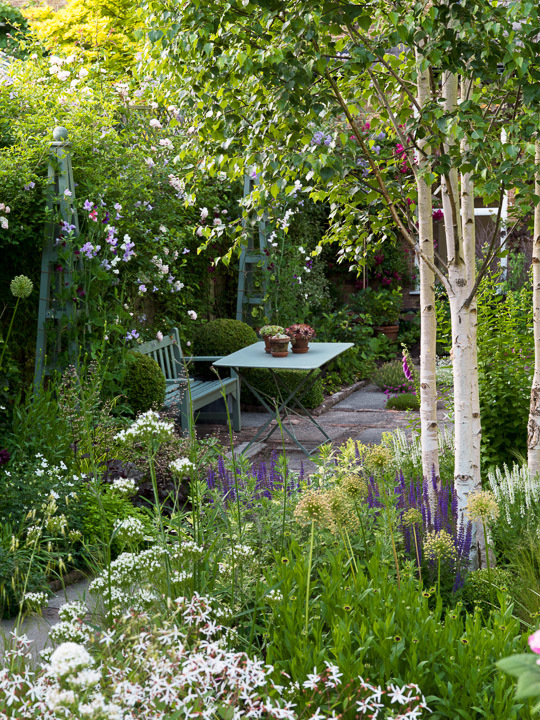 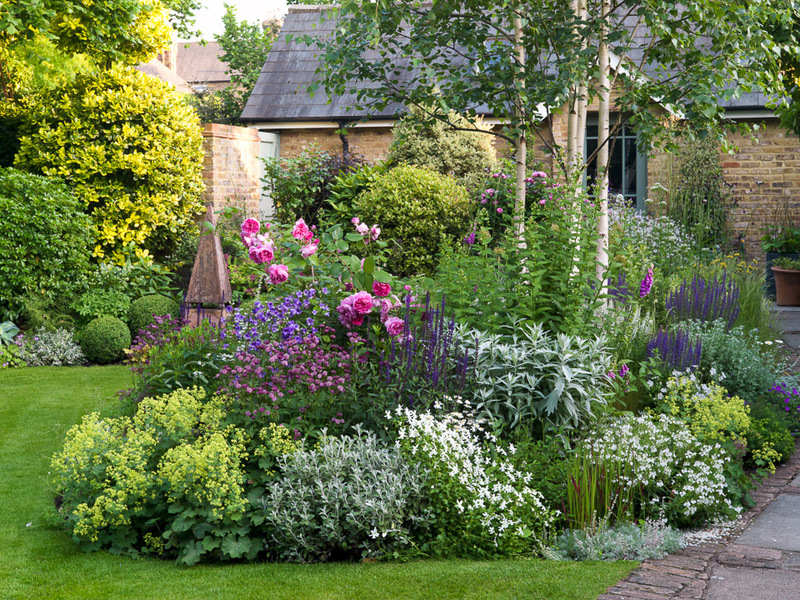 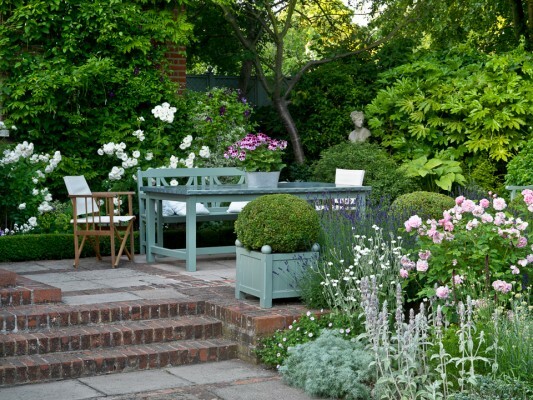 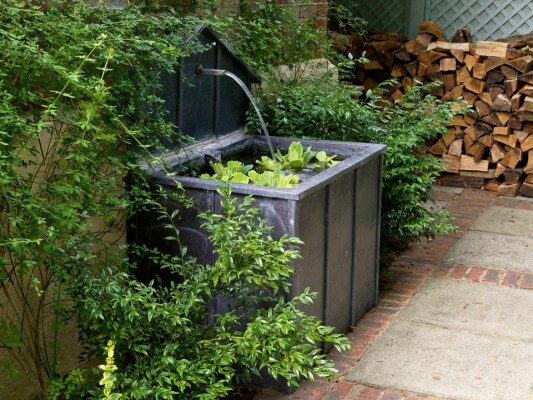 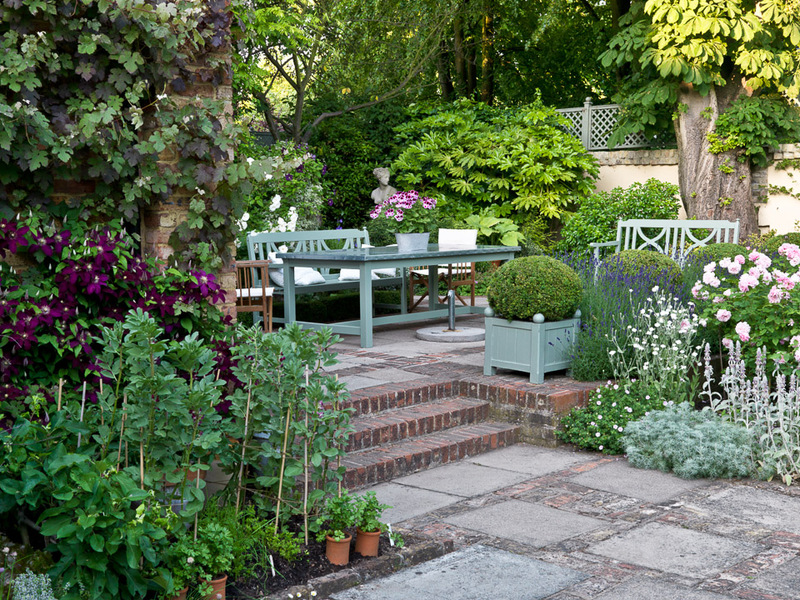 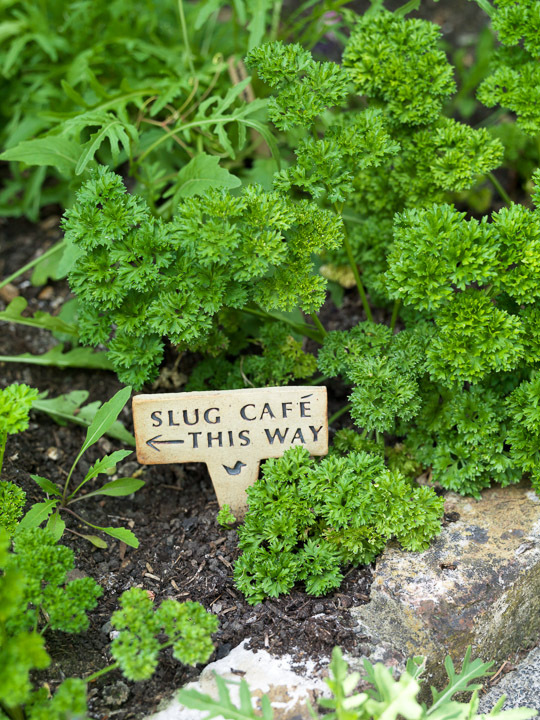 This traditional English garden has developed gradually, with an eye to Beth Chatto's famous maxim 'Right plant, right place' as its owner, Esme Auer, has come to grips with dry shade as well as full sun whilst creating this enchanting, south-facing back garden. 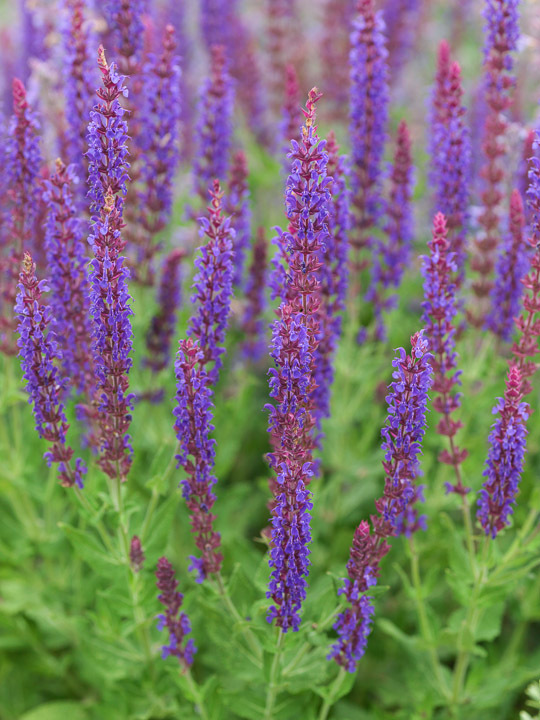 The planting appears so effortless that it is easy to forget that today's picture has taken some years, and a lot of very hard work, to emerge. 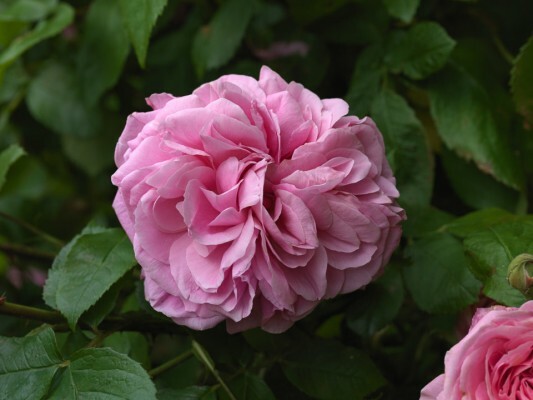 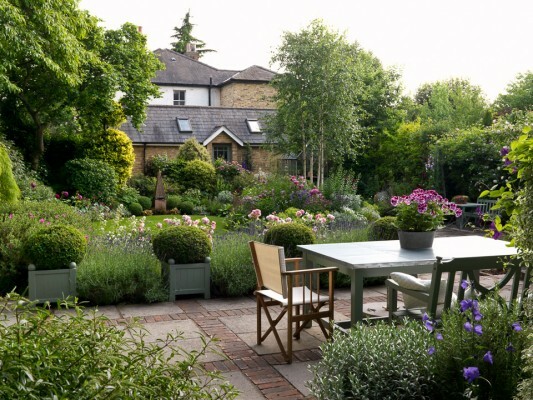 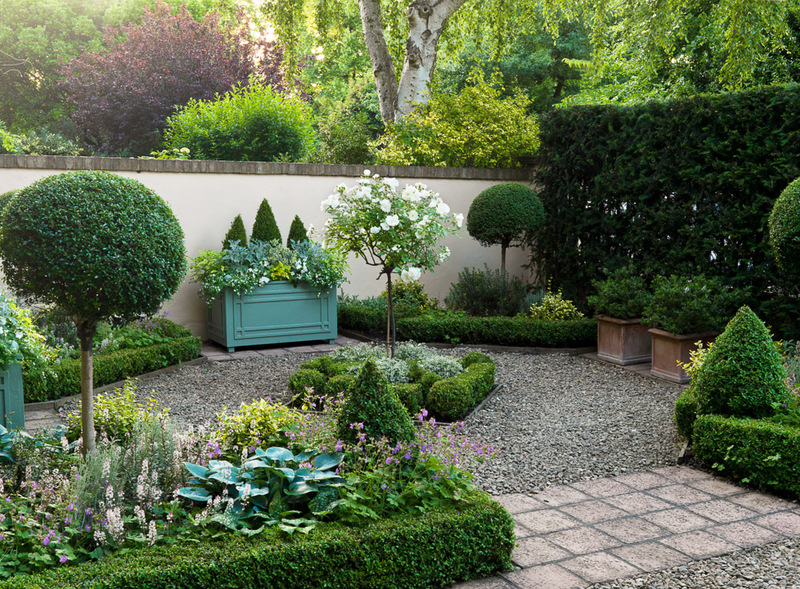 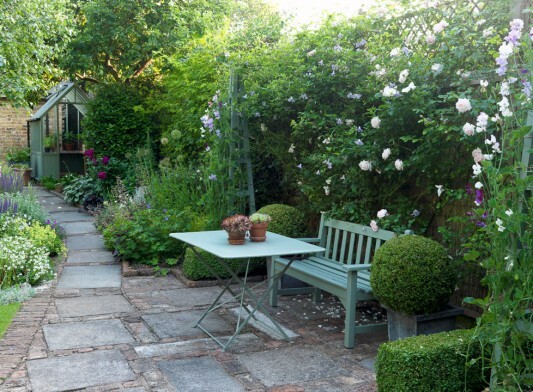 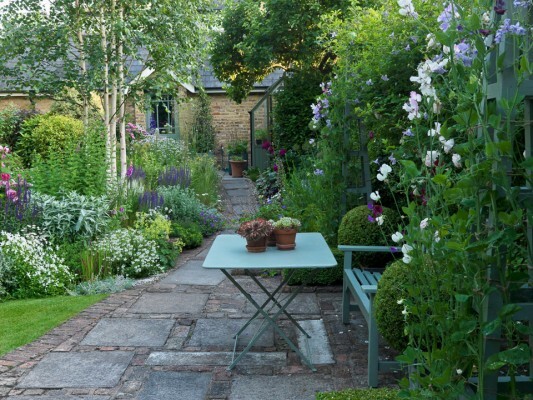 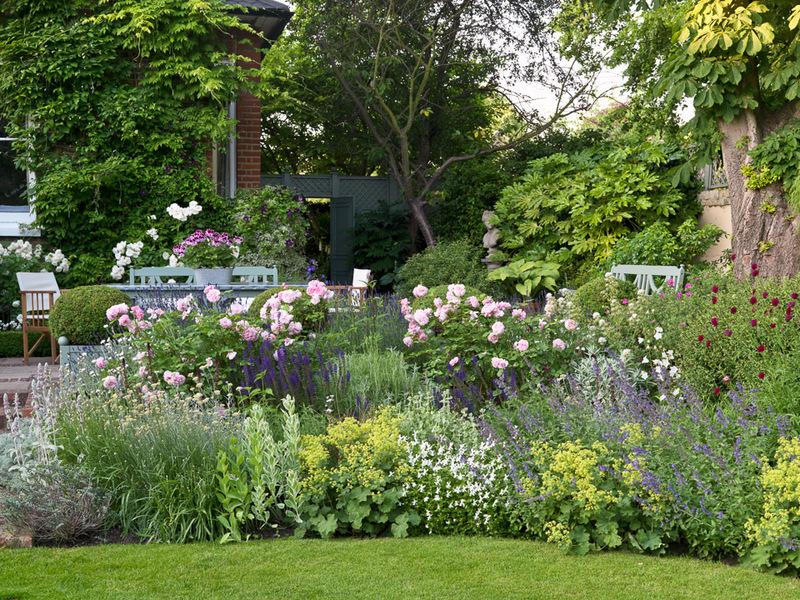 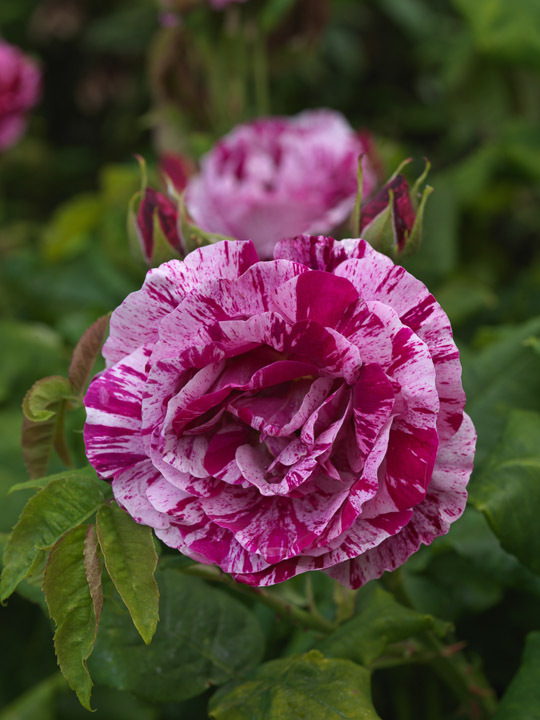 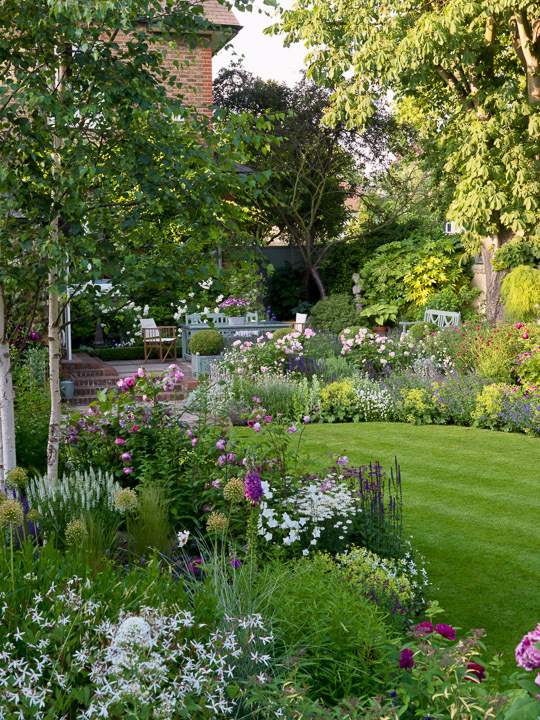 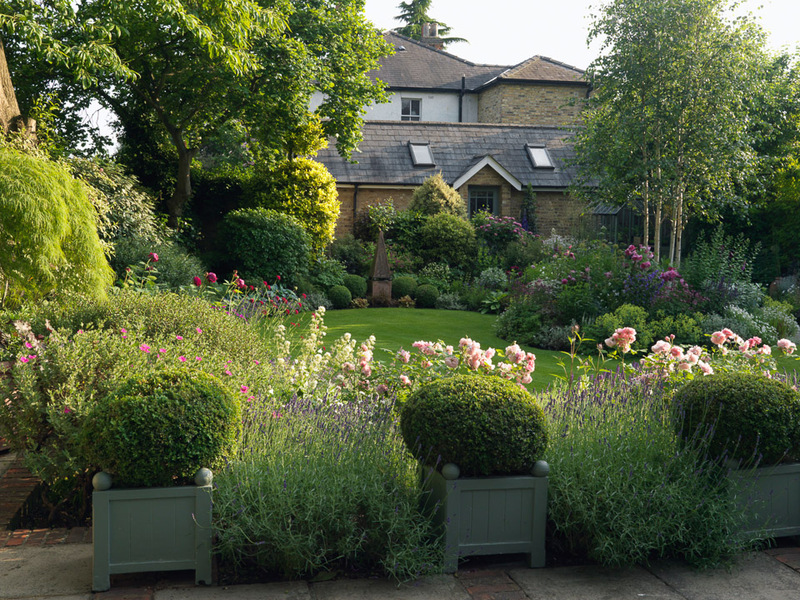 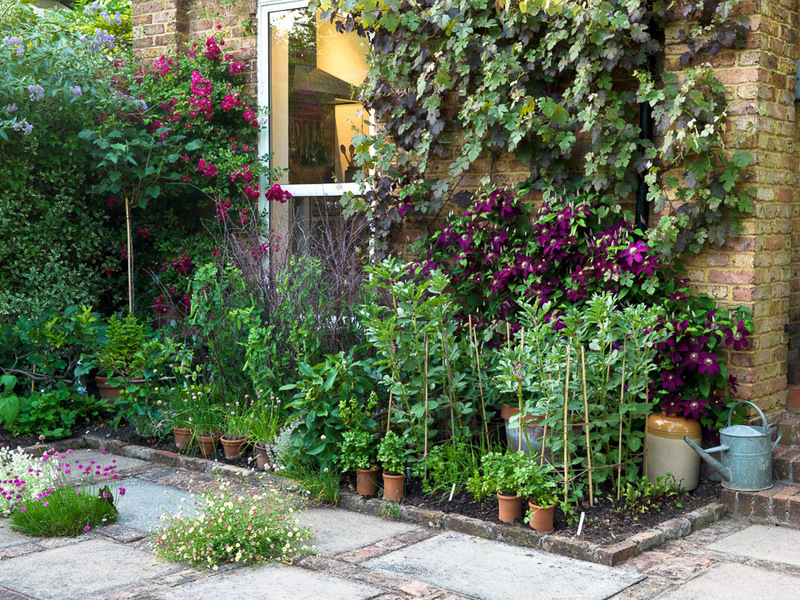 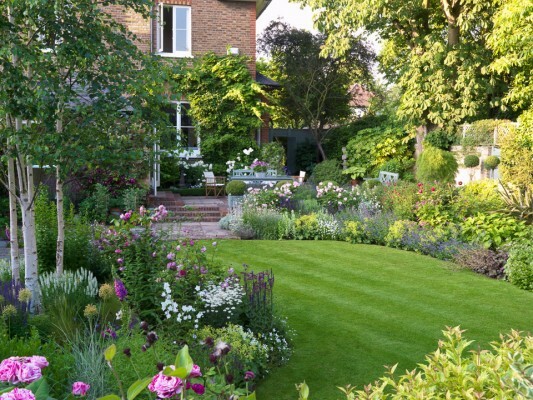 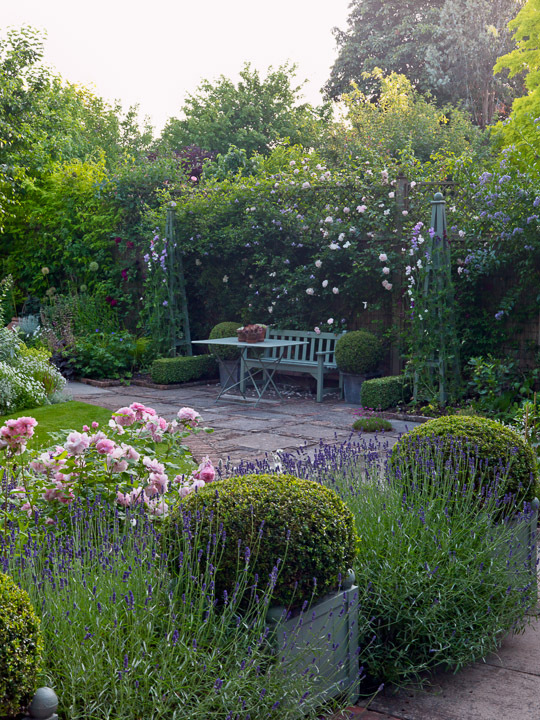 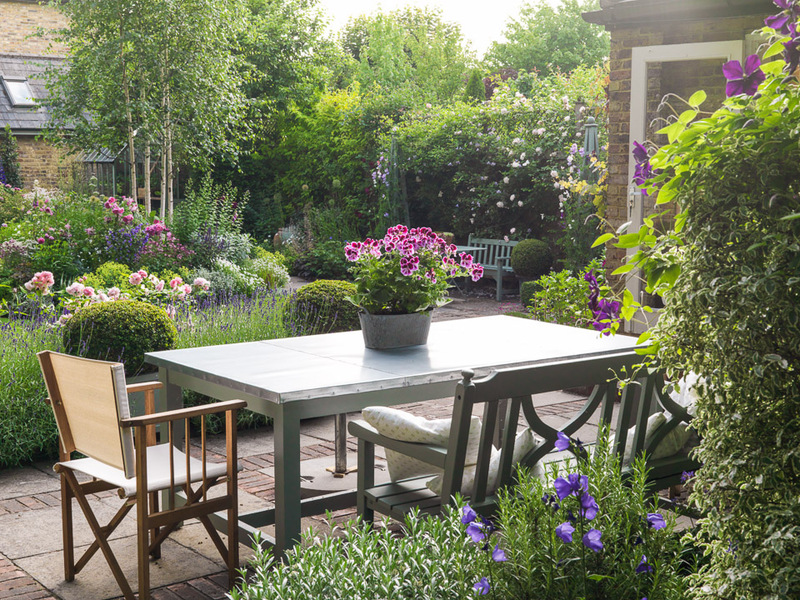 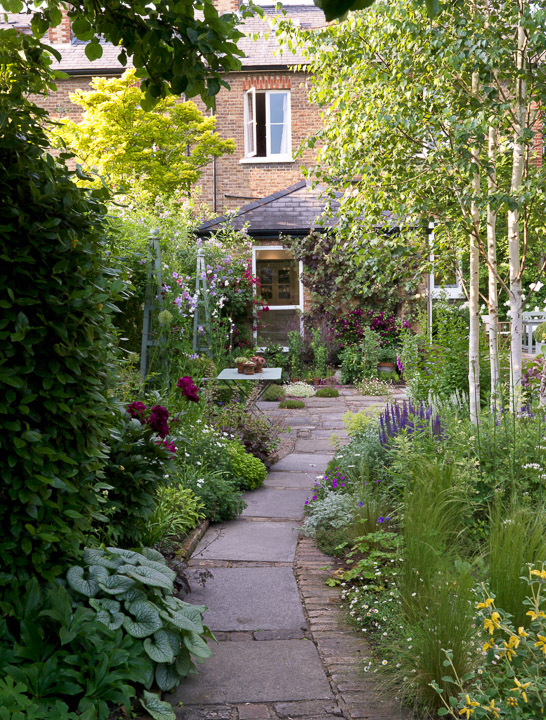 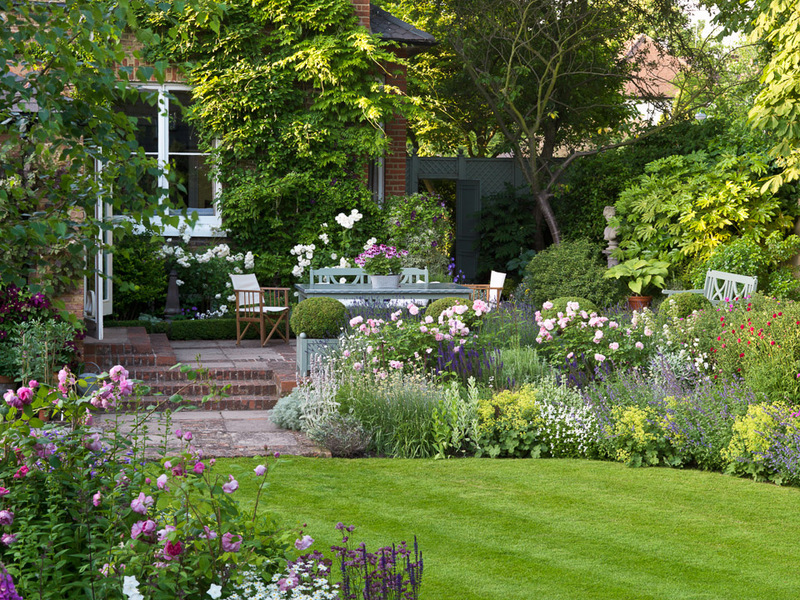 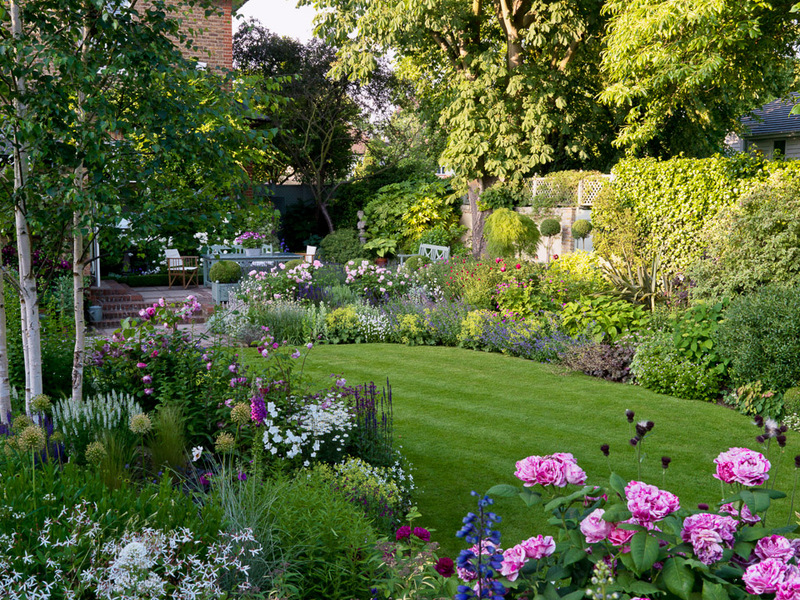 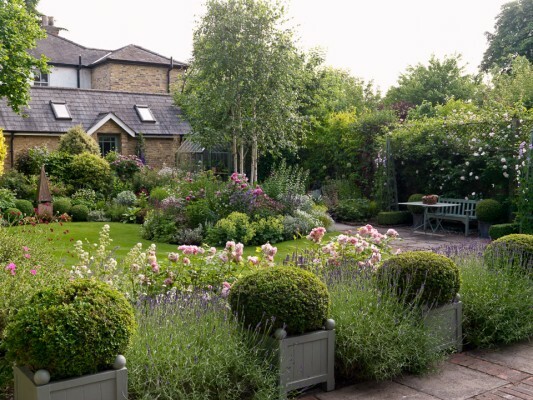 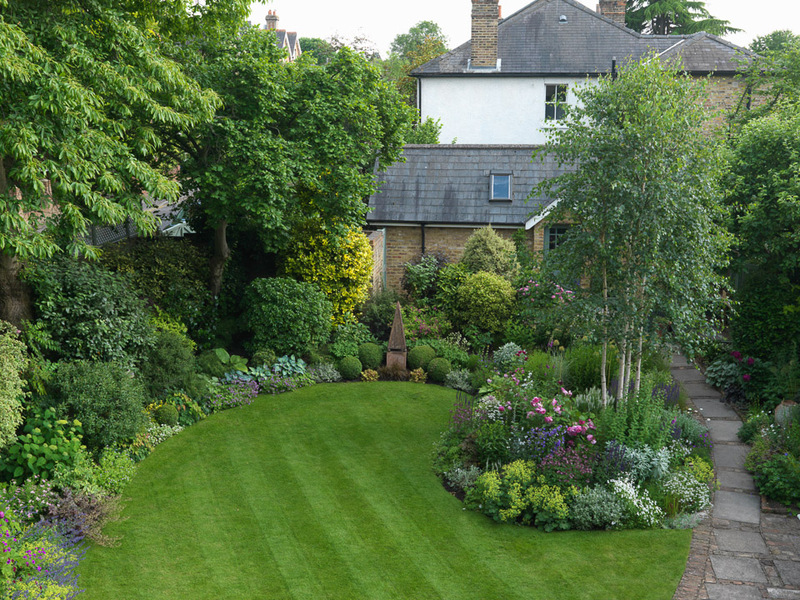 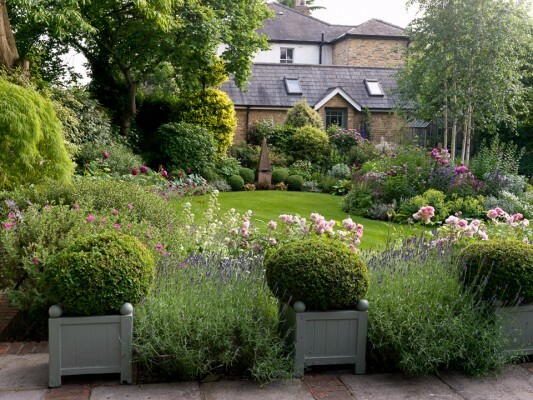 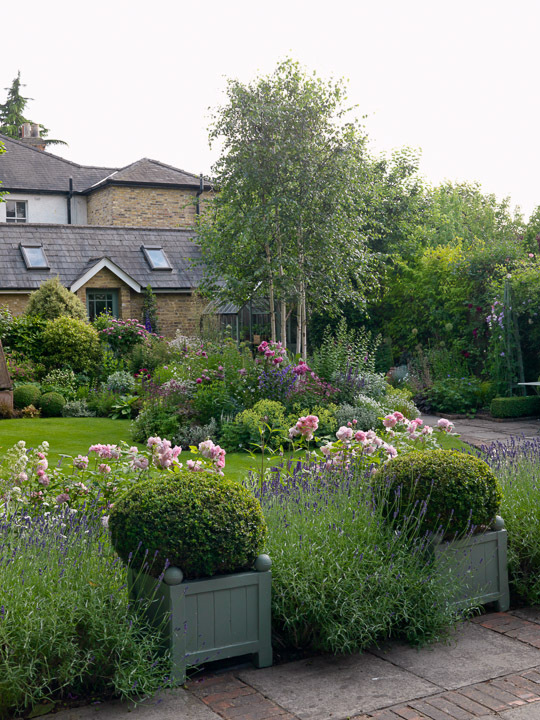 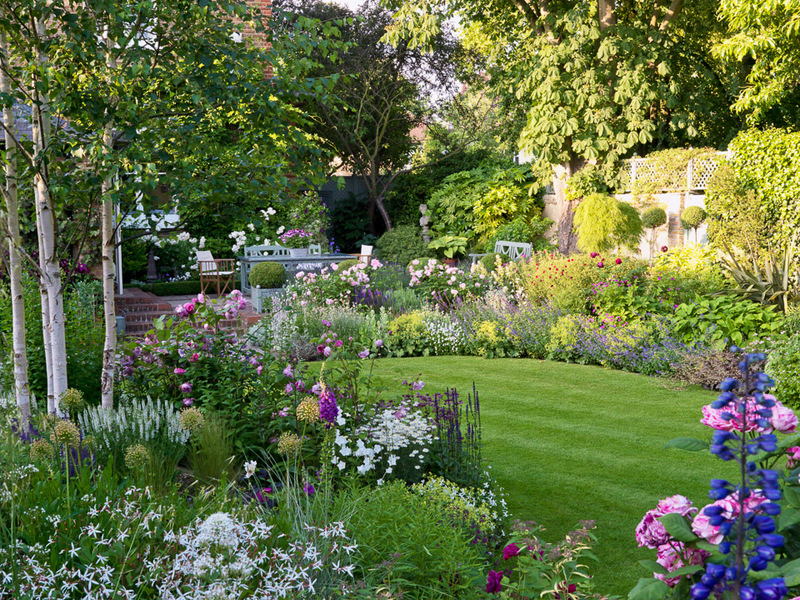 A side passage leads to a back terrace that overlooks borders rippling with English lavender and fragrant pink roses, before encircling the lawn. 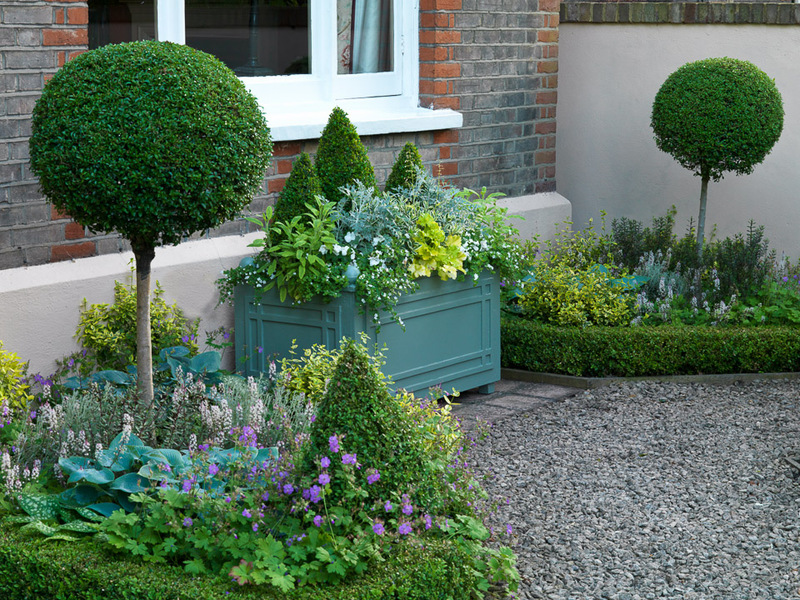 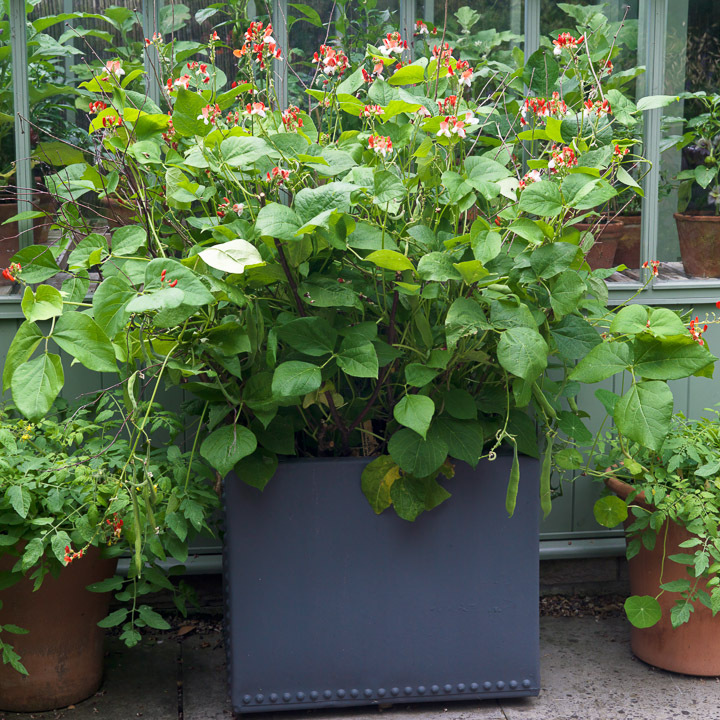 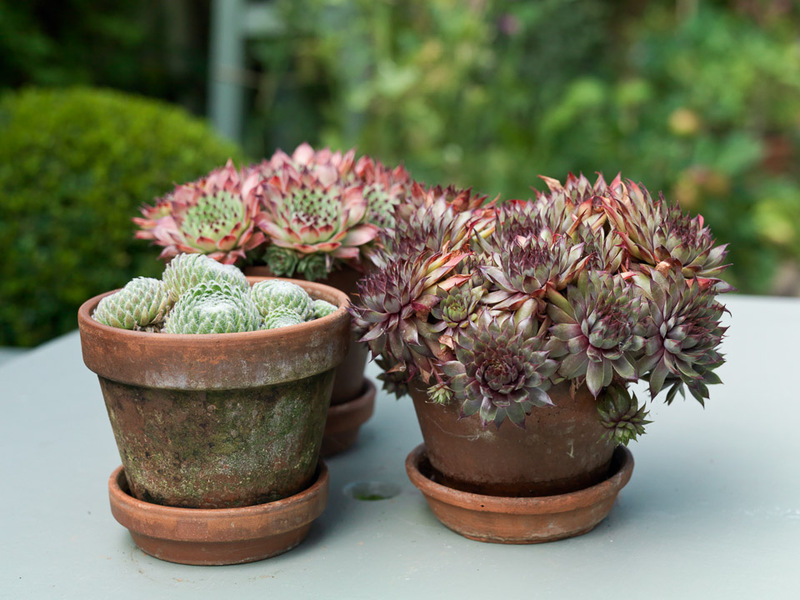 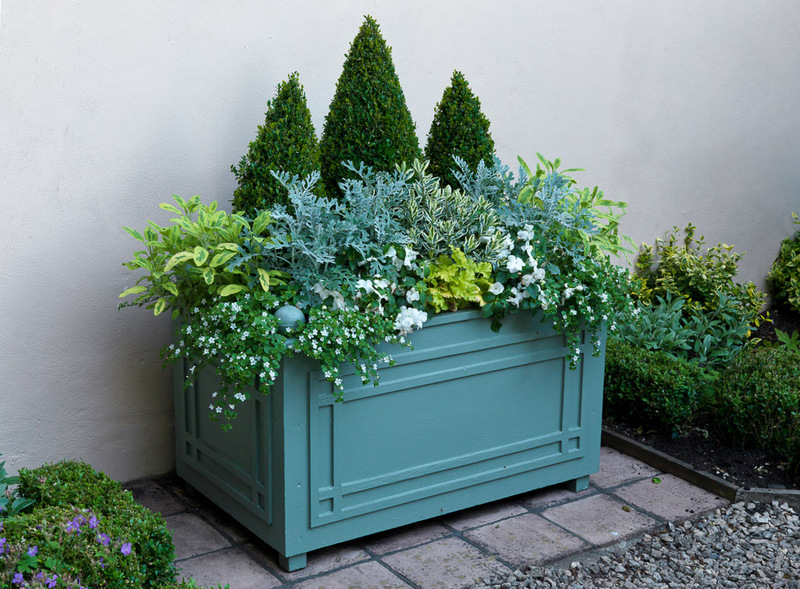 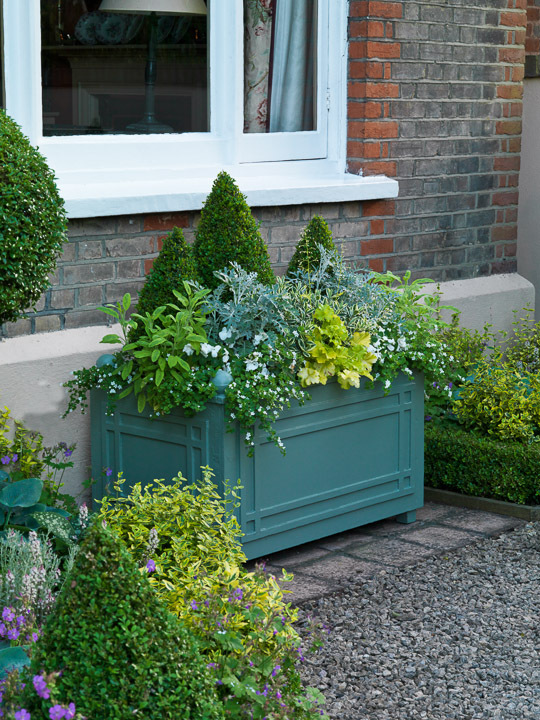 A miniature kitchen garden is tucked away to one side beside table and chairs.